WILLEMSTAD - CHATA’s new year’s event was an explosion of color, art, tasty food and positive vibes. 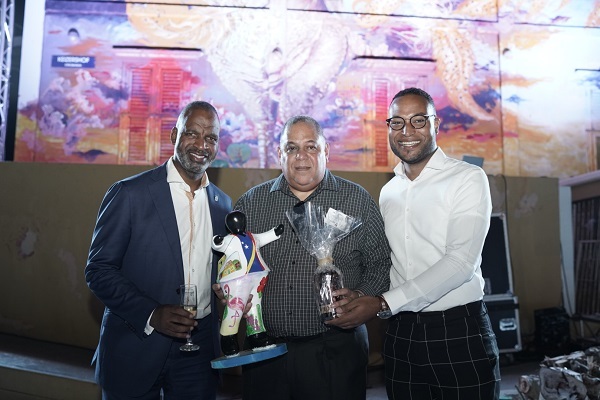 With the artwork of local artist Francis Sling as backdrop, live painting sessions by Serena’s Art Factory, local art vendors and tasty bites prepared by the Curaçao Culinary Team, CHATA wanted to emphasize the importance of our local heritage, art, culture and people to further grow and develop the tourism sector. “Just as today’s celebration is a collaboration of many local and international talents, so we must continue to combine our unique talents and resources to further grow our industry” according to Miles Mercera.